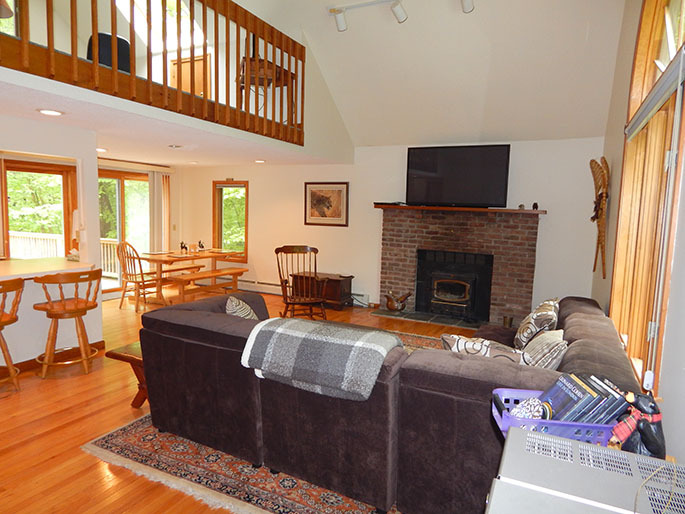 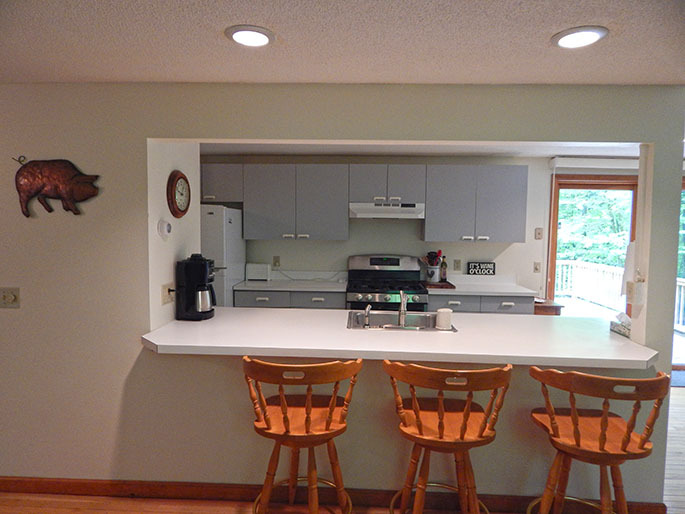 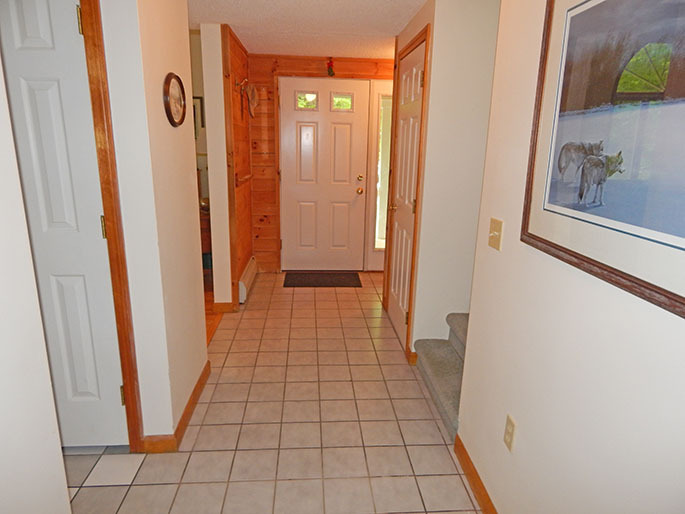 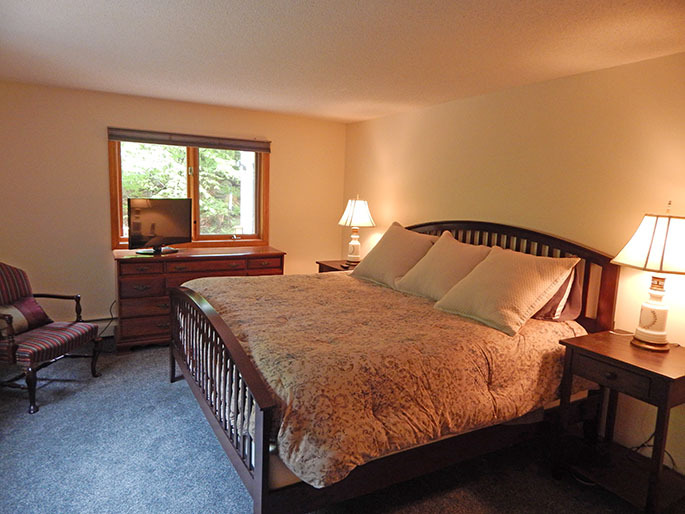 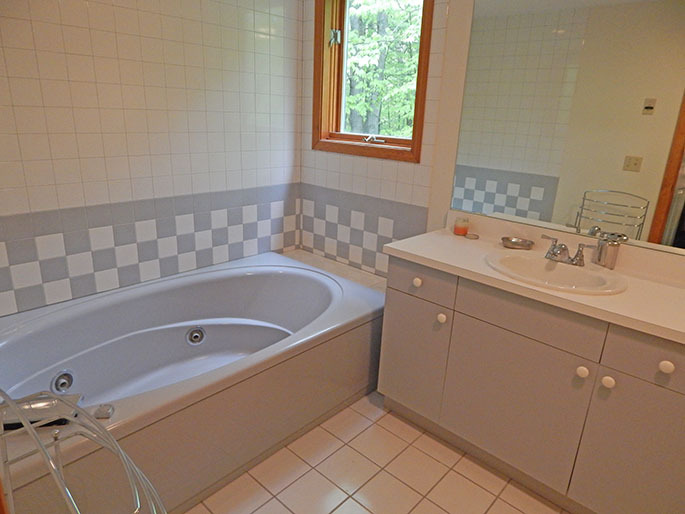 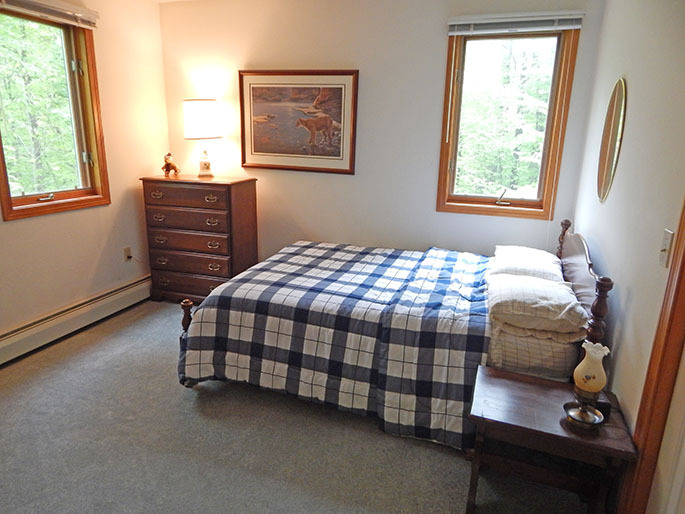 Secluded 3 bedroom home located just 15 minutes from Stratton Resort. 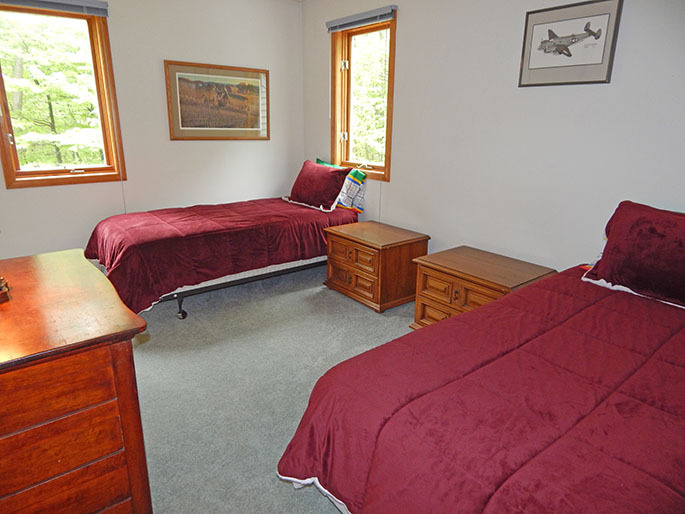 The main level offers a spacious open living room with a woodstove, dining area and kitchen, full bath, master bedroom with a king bed and attached bath with jacuzzi tub. 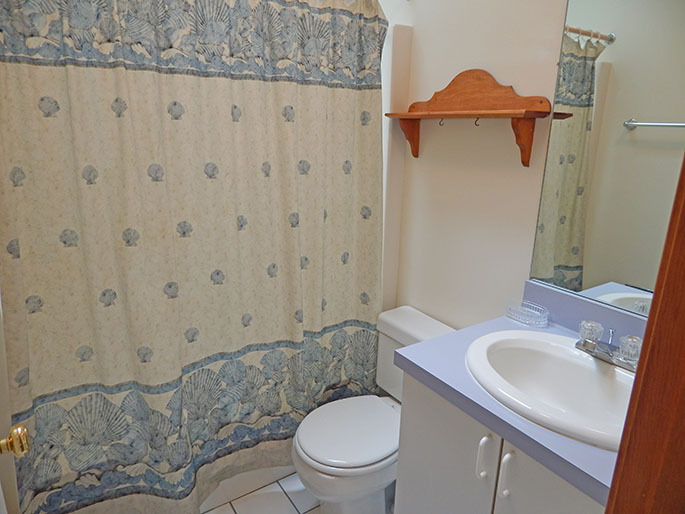 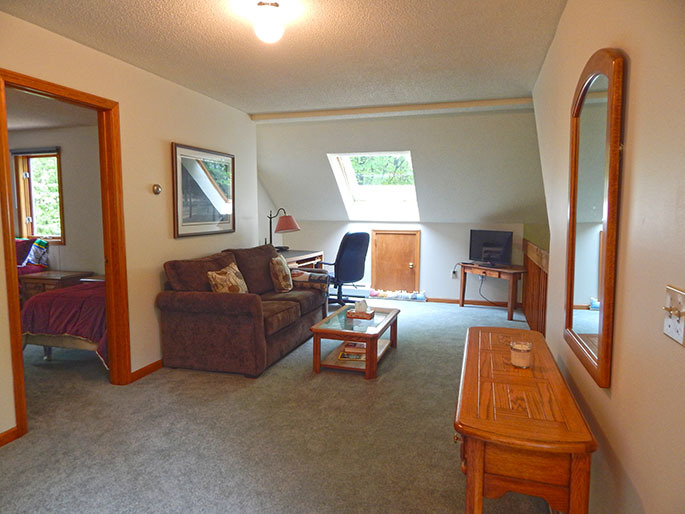 Upstairs offers a sitting area with TV, a full bath and 2 bedrooms - one with two twins and the other with a full bed. 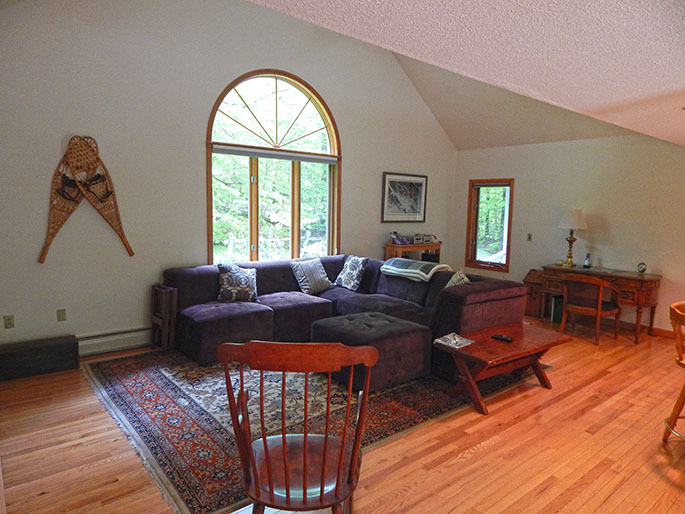 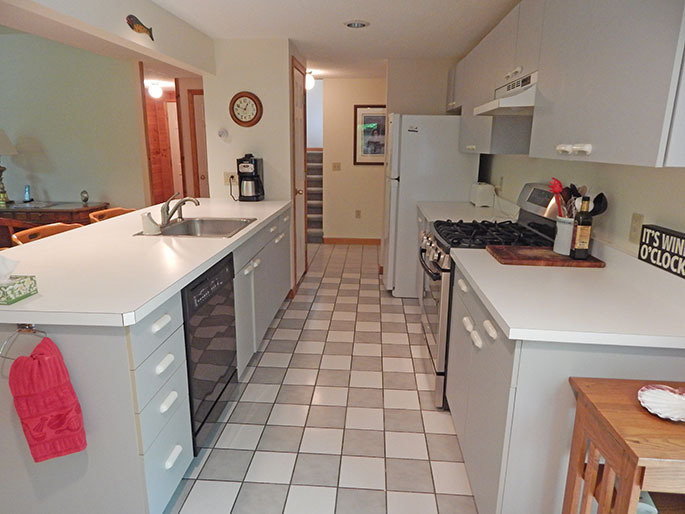 Call us to book this home for your VT seasonal rental today!